TGIF Giveaway No 2! Logitech is 34 this October and as part of the celebrations, they have kindly offered two sets of the K380 Multi-Device Bluetooth Keyboard and the M337 Bluetooth Mouse for you readers and supporters! I tested one set of the K380/M337 and I like it. Would’ve love to keep one for myself but will share the joy. However, since I used one set for review, one set will be opened (and used for a week). I especially enjoyed the K380 multi-device bluetooth keyboard, since it can pair and toggle through a single button across three devices. Perfect for pairing your computer, phone and tablet. Need to send a lengthy Whatsapp message to your boss? Toggle the keyboard and you have the comfort and convenience of desktop typing. It’s a good keyboard too. I like that the keyboard is compact and well-built. Although compact leads to smaller spacing and smaller keys, which requires some time to adjust. But it didn’t take me long. The keys offer a moderately quiet tactile response, with sufficient travel to make quick typing a breeze. The Logitech K380 also features round key buttons, which I personally felt round keys help in reducing typos. The keyboard is designed to work with phones, tablets, Android, iOS, Windows computers, Macs, and more. As such, there are a whole lot of mobile device functions such as your Home, Settings, Back button at easy access. This special functions are also set to default, and the traditional function keys require the Fn+F* combination. This leads to a mild annoyance when using it with my Windows computer, since F2, Alt-F4, are combos I frequently used. The K380 uses two AAA battery, which is apparently good for two years. Batteries are included too! The K380 is quite similar to the K480 keyboard but I prefer the K380 as it doesn’t have the tablet / phone dock. This allows it to be lighter and more compact, although you would still feel the heft of approximately 420g. It can fit your carry bag, but may not be an accessory that you would want to lug around all the time. If you want a more portable option, the Logitech Keys to Go comes to mind. The Logitech M337 Bluetooth Mouse is less fanciful compared to the K380 keyboard. While you can switch across multiple devices at ease on the keyboard, you are limited to one bluetooth pair on the mouse. It looks and feels good though with it’s slight oft angular shape and textured plastic for a comfortable grip. Like other Logitech devices, there’s a programmable navigation button which defaults to mission control on a Mac or Task View on Windows, as well as left and right toggles on the scroll mouse. You can choose to install the associated Logitech app to change the features, but otherwise, it works great just by plugging it in. The M337 uses a Laser-grade optical sensor which means it can work on just about any surface – from metal café tables to tile countertops to your favorite study desk. Great for a portable laptop mouse. I heard that Bluetooth mice tend to suffer drop outs as compared to the more traditional RF 2.4 GHz wireless mice, but I didn’t really notice any issues when using the mouse. Felt as responsive as a normal wireless mouse, without the hassle of requiring a separate dongle. The Logitech K380 is priced at $54, and the Logitech M337 mouse is priced at $49. AND there will be two lucky readers to walk away with the full set. Just do three simple steps. 1) On my Facebook post, tell me why you would like to win the K380 & M337 in the comment box below and the two most creative post will stand to win a set! Don’t forget to hashtag #Logitechis34 and like Logitech’s Facebook page to qualify! 2) Do so before Saturday 31 October 2015. Contest is opened to people based in Singapore only (Sorry!). LG unveiled a cool looking keyboard today. The Rolly Keyboard rolls up to create an easy-to-carry “stick” that can fit easily into a bag. It features tactile laptop-style keys, with useful features designed for the mobile user. 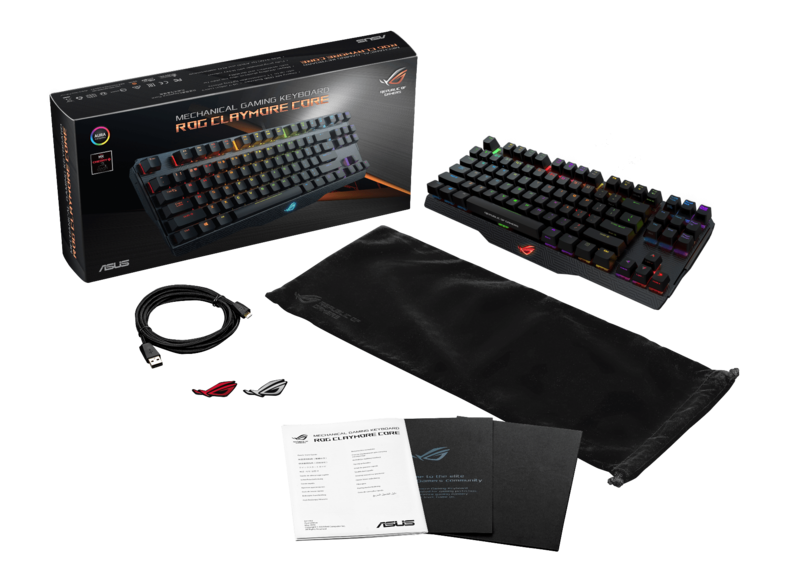 The Tesoro G7NFL Excalibur RGB is an entry-level RGB mechanical keyboard with a number of capabilities like macros, built-in memory, game profiles, and adjustable LED backlighting with a number of backlighting schemes and colors. The keyboard is available in Blue and Brown mechanical Kalih (yes Cherry clones) switches.